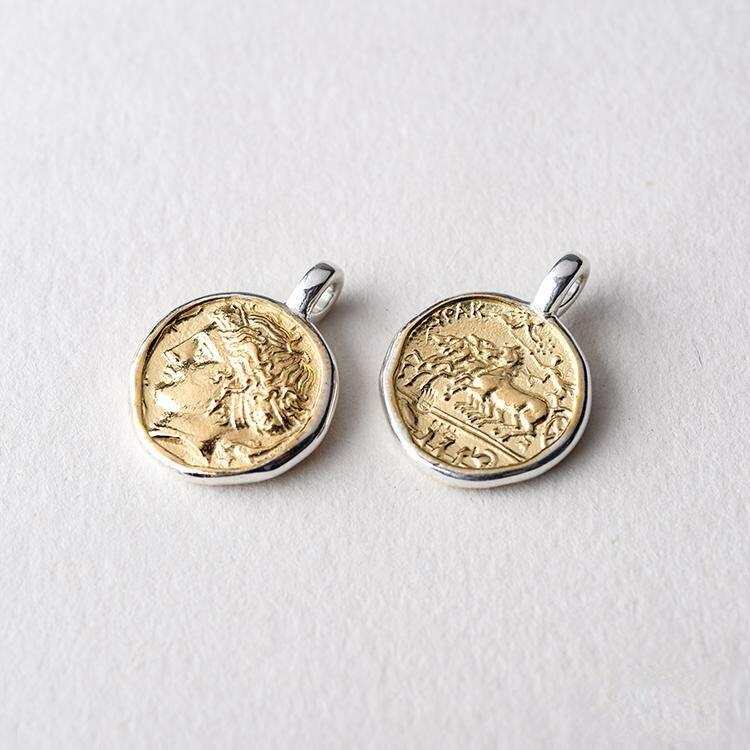 The ancient coin pendant is a replica of an ancient Greek coin - the 10 Drachma silver coin. 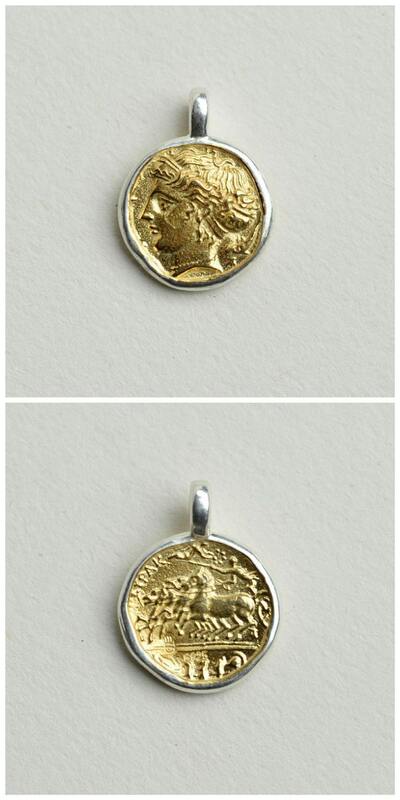 Designed by famous sculptor Kimon, the coin was in circulation about 2500 years back. 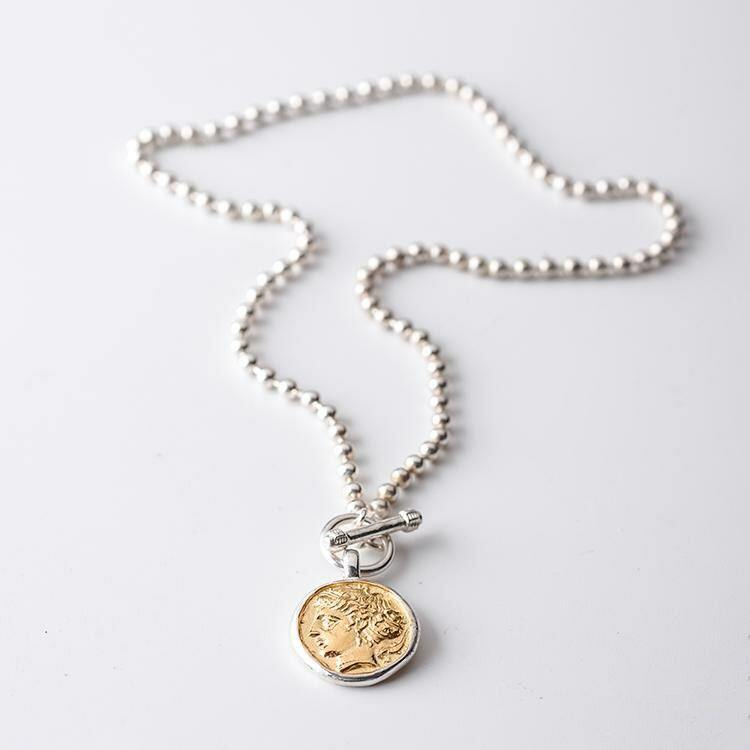 100% handcrafted, the ancient Greek coin design is created in 925 sterling silver. Style A: 24K gold plating on both the faces - front and back. Style B: 24K gold plating on the coin rim. Every coin has two sides - and so does this one! 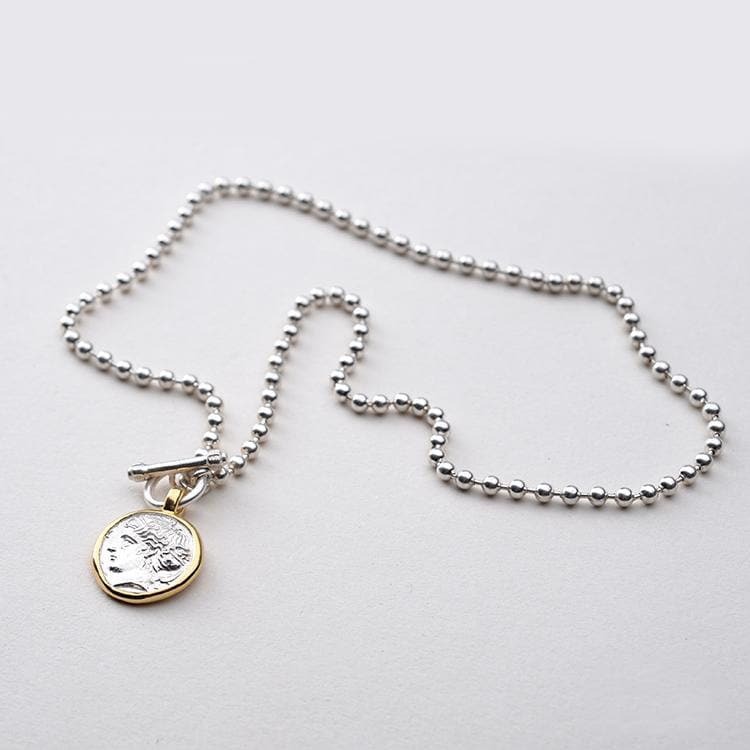 Beautifully carved in intricate designs, the coin is a beauty to behold. We call this a lucky coin! (For your reference, a U.S. penny dimension: Diameter: 19.05 mm/0.75 inches. Thickness: 1.52 mm/0.06 inches). Exelente !!! 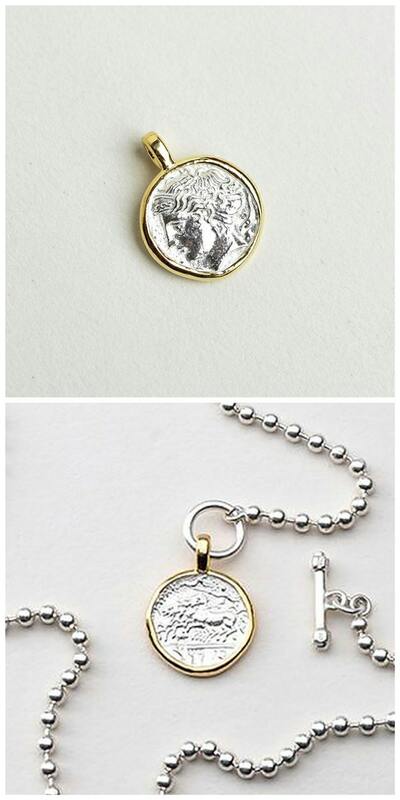 Muy contenta con mi colgante moneda griega !!! Gracias !! !